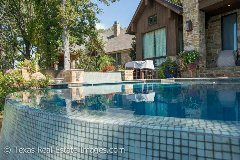 Design pools of East Texas specializing in Gunite, Saltwater pools. We have over 60 years experience in swimming pool design and construction. pool and the surrounding landscape into a living environment. If you can imagine it, we will build it. with customer satisfaction in mind. We are proud to offer top of the line Pentair Eco Select pool and spa equipment. We strive to provide Greener choices for our customers. We are proud to offer top of the line Pentair pool products. A Global leader in pool and spa equipment, we strive to provide Greener choices for our customers. IntelliBrite Underwater Color-Changing Pool and Spa lights offers a dramatic underwater lighting effects. Works with IntelliTouch or Easy Touch control systems. IntelliBrite is an Eco Select choice, this brand is the most energy efficient and the "Greenest" choice. IntelliTouch is simple, convenient and flexible. Takes the worry out of scheduling and operating your pool or spa with one touch of an control or a remote. Now crystal clear water can be automatic. We also offer the the Easy Touch Pool and Spa control, "It's like putting pool/spa operations on cruise control" An Eco Select choice. Smart pH Water Chemistry Controller is designed to control pH in pool and spas. Makes perfect pH balance and healthy swimming automatic. Please contact our sales office to learn more about the Eco friendly products. We hope you'll join us in embracing more Eco-friendly poolscapes by choosing Eco Select products for your pool. 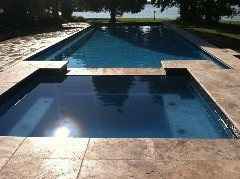 You can estimate your savings online at www.pentairpool.com. Just click on the Energy Savings Calculator.